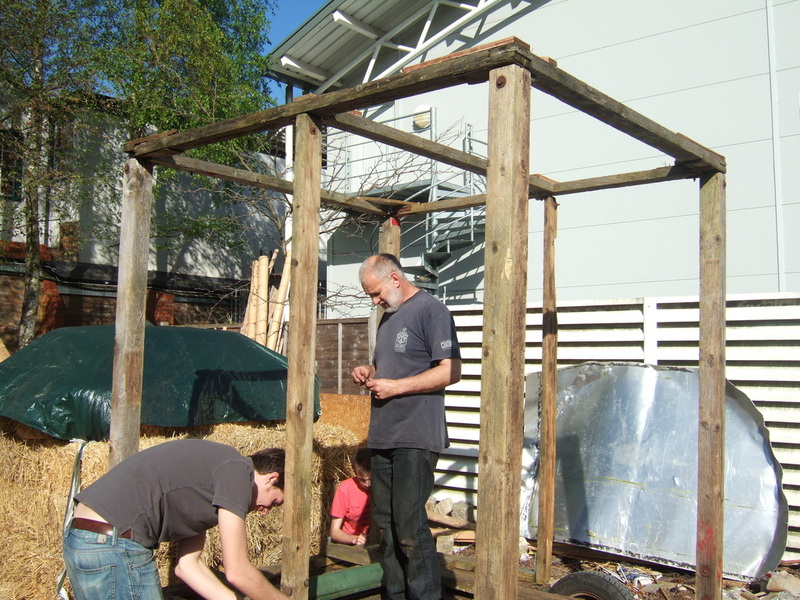 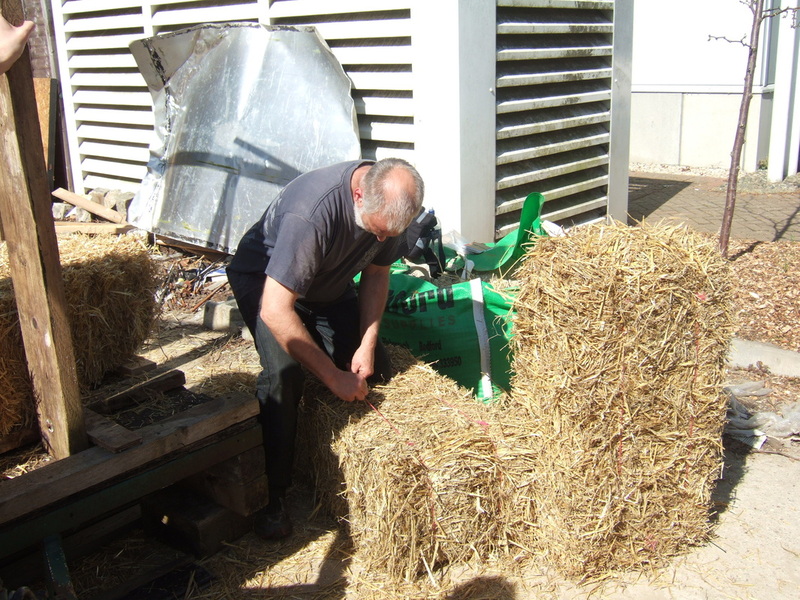 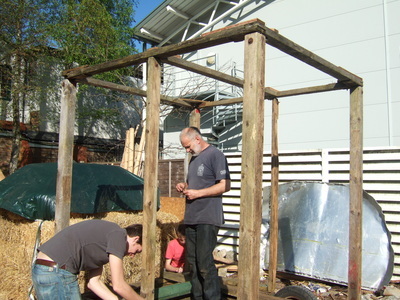 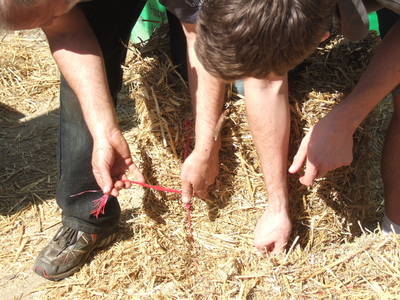 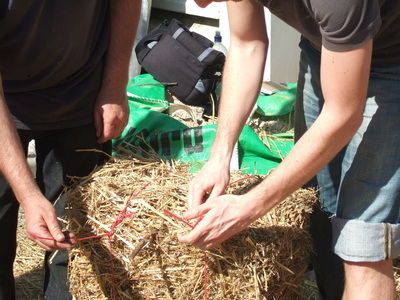 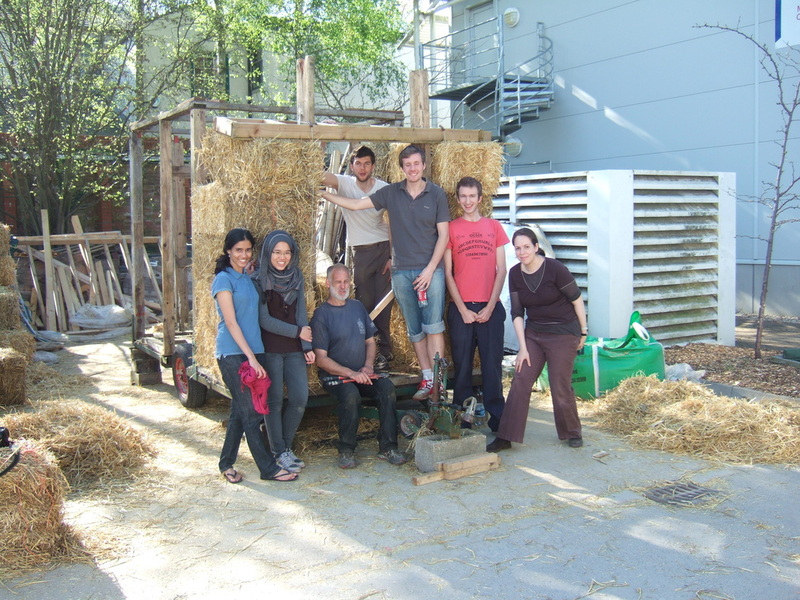 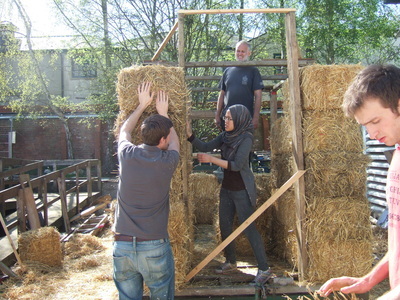 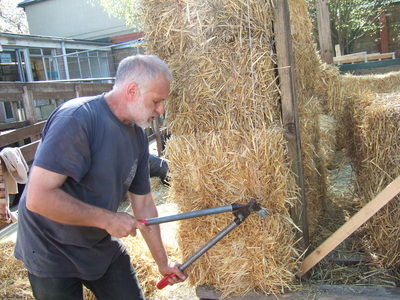 Straw bale building construction is the use of straw bales to build anything from a basic shed to a family home. 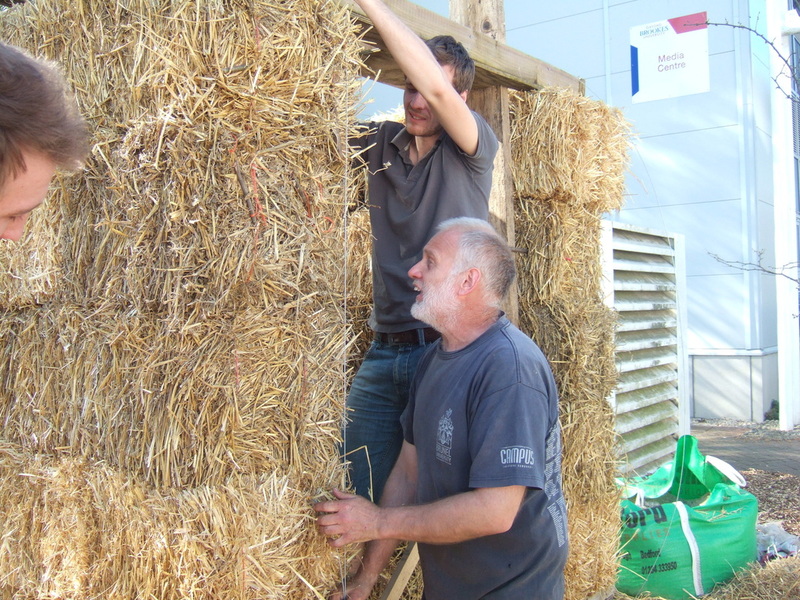 It is part of a rapidly expanding natural sustainable building movement in the U.K. 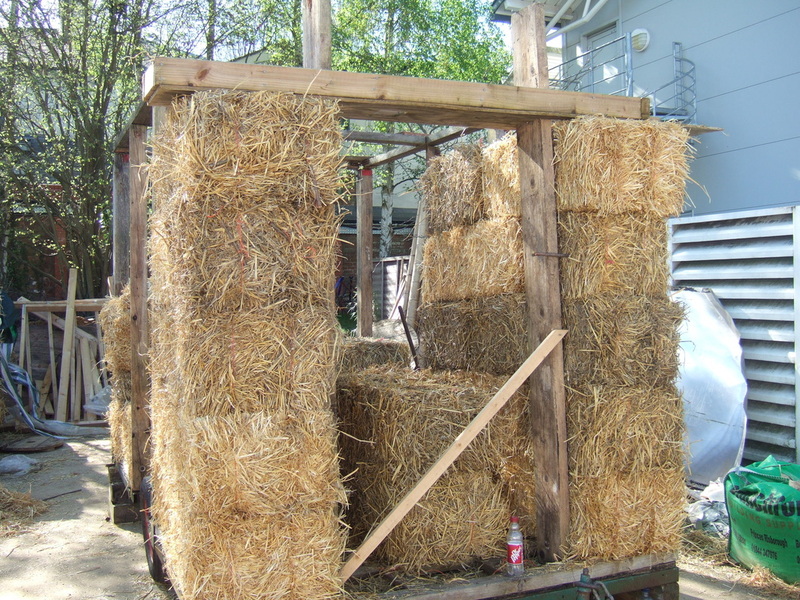 Advantages of straw bale construction over conventional building systems include the renewable nature of straw, cost, easy availability, naturally fire-retardant and high insulation value. 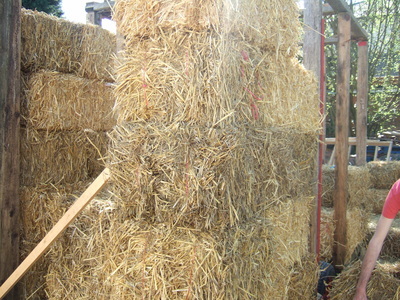 Disadvantages include susceptibility to rot, difficulty of obtaining insurance coverage, and high space requirements for the straw itself. 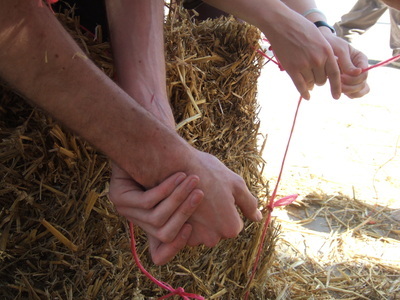 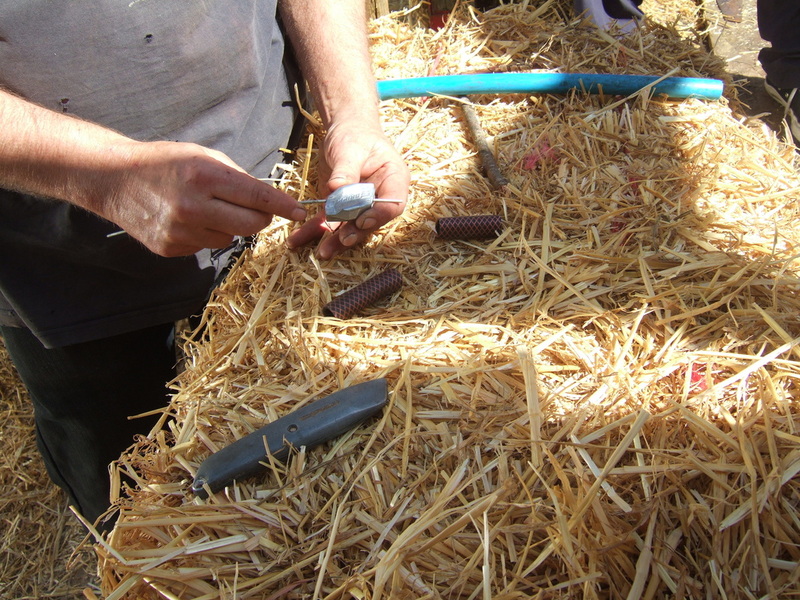 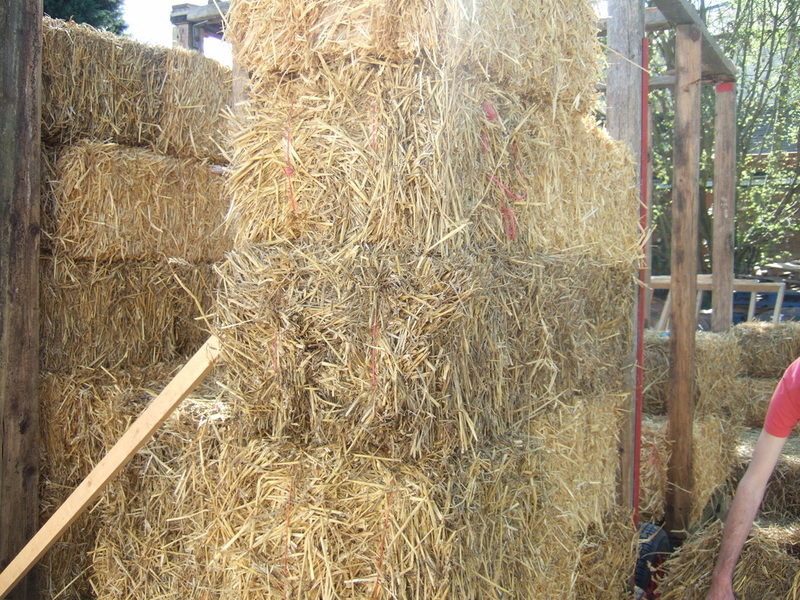 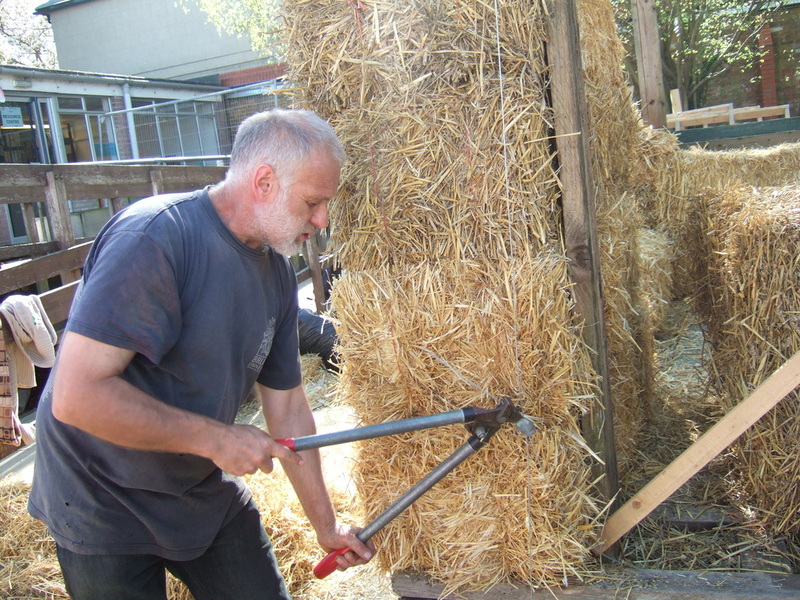 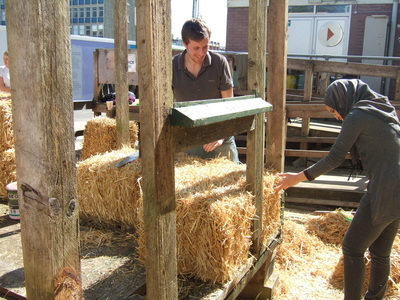 Straw bale building typically consists of stacking rows of bales on a foundation base with a moisture resistant layer between the bales and the foundation. 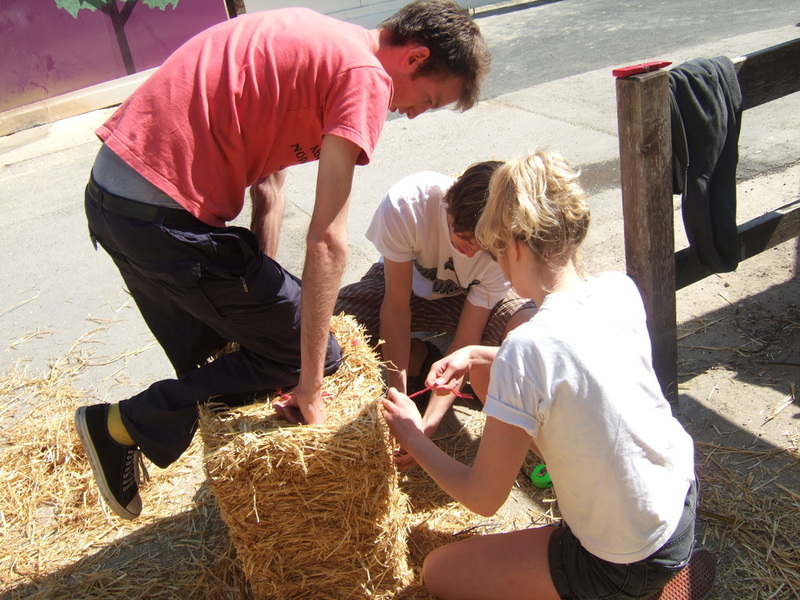 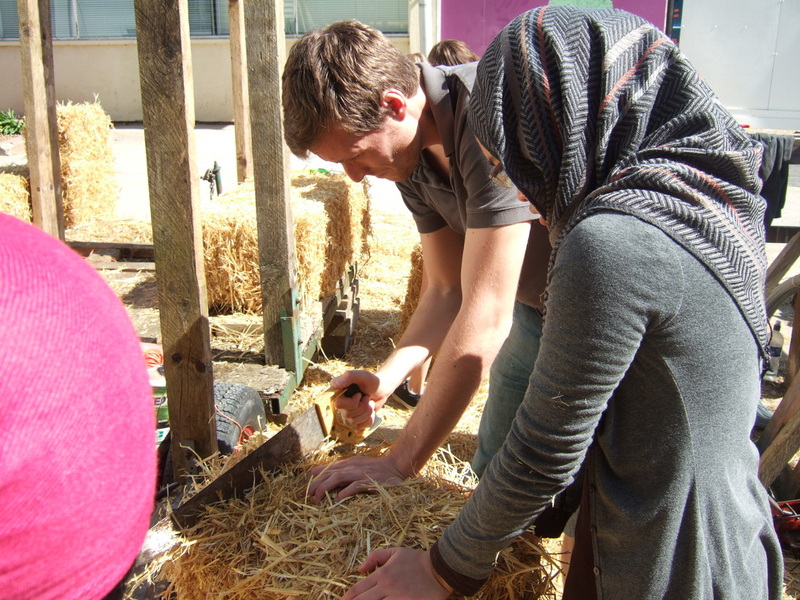 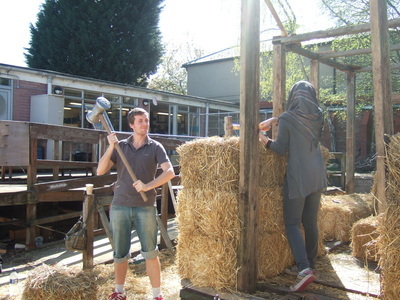 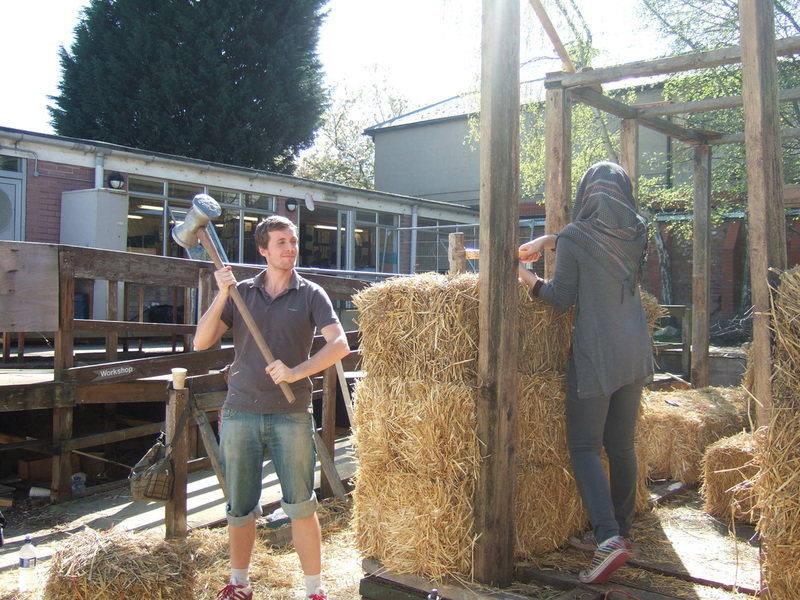 During this workshop, we learnt the art of cutting, binding and compressing bundles of straw within a pre formed timber frame, which would act as the structural support of the building. Typically once completed the straw bales would then be plastered with either a cement based mix or an earth/clay render.